• Gruet Brut “Champenoise” Gold Label – This New Mexican star held center stage on Christmas Eve, paired with a meal of one fish/two ways (chilled shrimp cocktail followed by garlicky shrimp scampi)—my modest take on the traditional Seven Fishes feast. $16 at Sherry-Lehmann. • Roederer Estate L’Hermitage Brut 2003 – To accompany an array of cheeses and charcuterie, we started the December 31 festivities with this Anderson Valley, California, offspring of venerable French Champagne house Louis Roederer. Priced around $40-$45, depending on the retailer. • Veuve Clicquot La Grande Dame Brut 2004 – Saving the best for last, we popped the cork at midnight on this Veuve Clicquot classic from Champagne’s stellar 2004 vintage. A deal while it’s still in stock at Buy-Rite in Jersey City for $120. 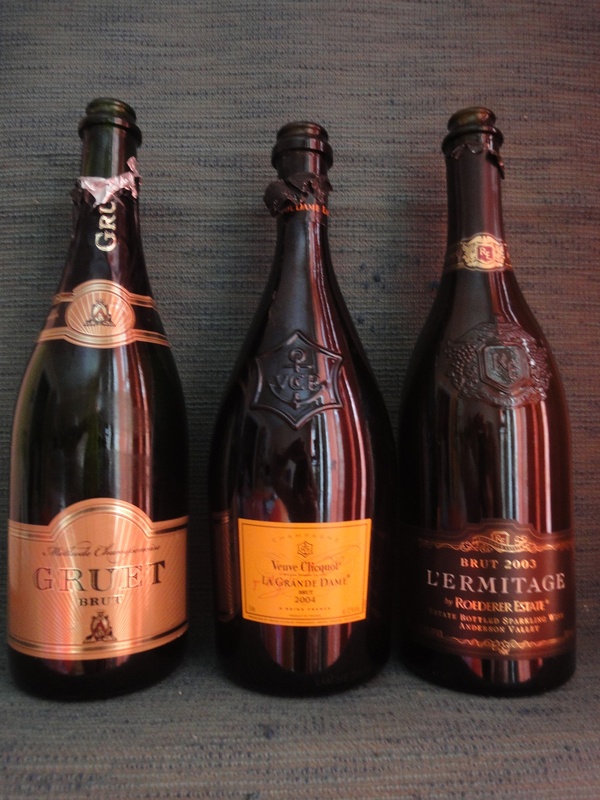 The Gruet family brought their Champagne-making experience with them from France to the New World in the 1980s, after discovering promising, high-altitude, inexpensive terroir around Albuquerque. Like all of their sparkling wines, the Gruet Brut is aged for a minimum of 24 months. Tasting of apple cider, it’s not a complex wine but stands up well with food. At this price point, I’ll have it again—and seek out Gruet’s other sparklers. L’Ermitage along with L’Ermitage Rosé are the high-end lines of family-owned Roederer Estate, produced only as single-vintage cuvées. The 2003 earned high marks across the board from the usual critics: Wine Enthusiast 96, Wine & Spirits 94, Wine Spectator 93. If you can’t find this vintage, look for the 2005. My first sips were peach-infused, then a hard-candy lemon-drop flavor settled in. The minerality was just right. La Grande Dame was the favorite Champagne of a now-deceased friend and oenophile, but since we’d somehow never tried it, this was the obvious choice for ringing in 2015 when we spotted it in Buy-Rite’s Champagne cabinet. The 2004 is a refined Champagne, with lemon and minerals on the nose and the palate. 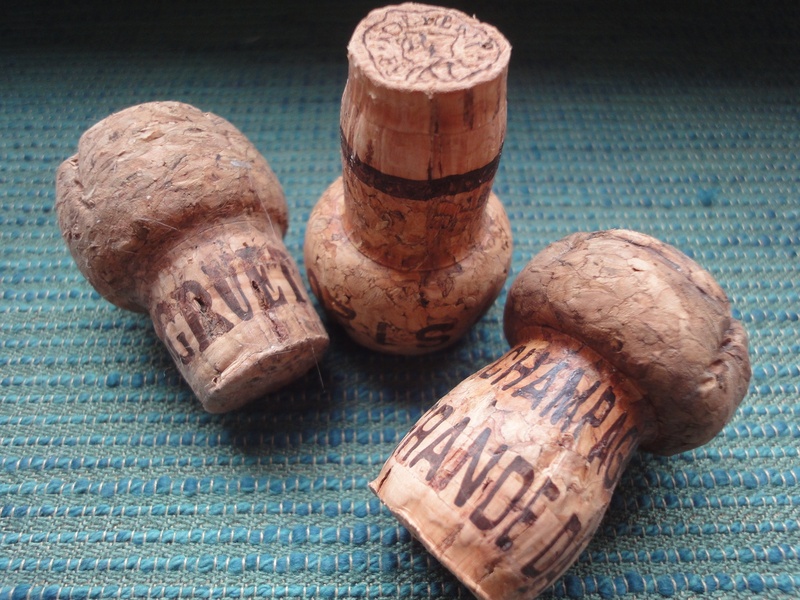 The initial uprush of bubbles after opening was misleading, as it quickly subsided into a gentle effervescence. Wine Spectator conferred 92 points on this beauty. These three wines span a range of price points, from everyday to special-occasion, and I can recommend landing on each one of them. Cheers! *While New Year’s Eve is unlikely to be dethroned from its perch as the time of maximum sparkling-wine consumption, why not resolve in 2015 to drink more of it more often? 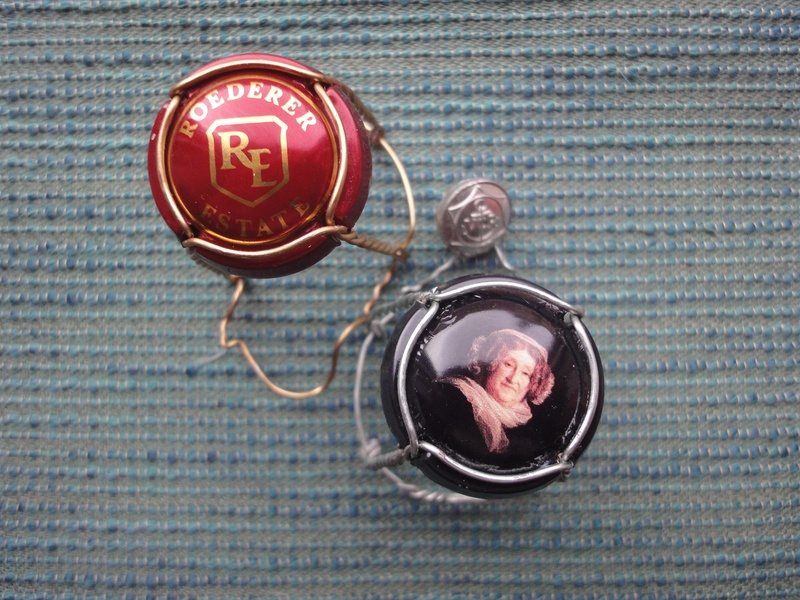 This entry was posted in Tasting and tagged Champagne, Gruet, L'Ermitage Brut, La Grande Dame, New Mexico, Roederer, Sparkling Wine, Veuve Clicquot. Bookmark the permalink. Indeed! We were given a bottle of Roederer for Christmas, but I am not sure of the year, so I’ll have to check. Haven’t opened it yet.